Situated at the heel of the Italian boot, the southern region of Puglia is a beautiful place to visit. With its deep-blue Ionian and Adriatic Coasts, traditional whitewashed villages and established farming industries this lesser-travelled spot is a real gem, highlighting the desirable qualities of Italian life that draw us all to the country. Beyond the beautiful climate and traditions of Italy, there is one thing everyone wants to try on their trip: classic, authentic Italian food. One of the most renowned countries for its culinary excellence, Italy has a range of traditional dishes that are popular around the world, however many of the great recipes can only be found in Italy itself. Puglia is a region known nationally for its large agricultural industry – as we outlined in our recent history of Puglia blog – and as a result boasts some of the country’s finest cuisine, based on the ingredients grown on the Puglian fields. Here, we’ve collected just some of the great dishes to look out for during your next stay in Puglia. There are a wide range of cheeses that originate from Puglia, but burrata is the most widely known. 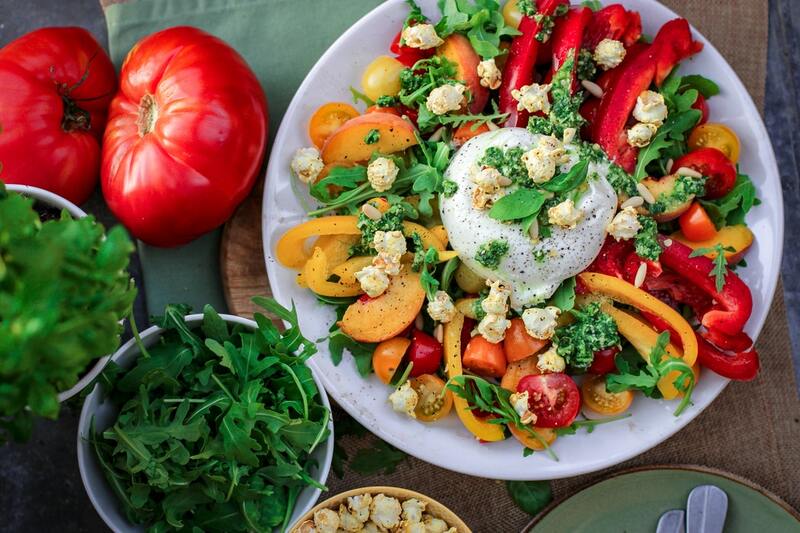 Consisting of a hard mozzarella casing with a creamy cheese inside, burrata has gained recent foodie fame thanks to its unusual shape and gooey, moreish inside. The centre of burrata often contains stracciatella, a shredded buffalo cheese, along with some cream. However, the mozzarella shell can sometimes include butter, or a mixture of butter and sugar, which is where the name burrata (buttered) comes from. Burrata is often served as the feature in a light dish, accompanied by things such as a small salad or bread and olive oil. Many local restaurants and cafes will serve it as a full package, allowing you to cut it and enjoy the sight of watching it melt before your eyes! Of course, when visiting Italy you have to try some authentic, handmade Italian pasta! Whatever small village you are visiting in Puglia we’re sure you’ll find a restaurant serving their favourite pasta dish, and in Puglia that often means orecchiette. 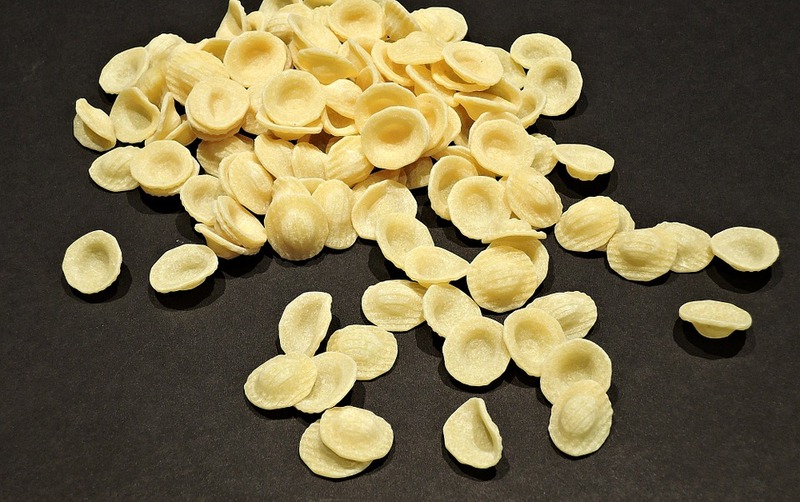 Roughly meaning small ear, this pasta shape is very popular across Southern Italy but is particularly synonymous with Puglia. Usually less than a thumb in size and indented in the centre in a similar way to conchiglie, this pasta often pairs with green vegetables such as broccoli. Another Puglia pasta that you may come across is ncannulate. A shape almost entirely unique to Puglia, ncannulate is a long, flat and tightly twisted form of pasta that is often paired with a tomato sauce. While not unique to Puglia – or Italy, for that matter – the fava bean is a true staple of Puglian cuisine. Many different beans and peas are grown across the region, and you’ll be surprised how many towns create dishes with their own local produce at heart. 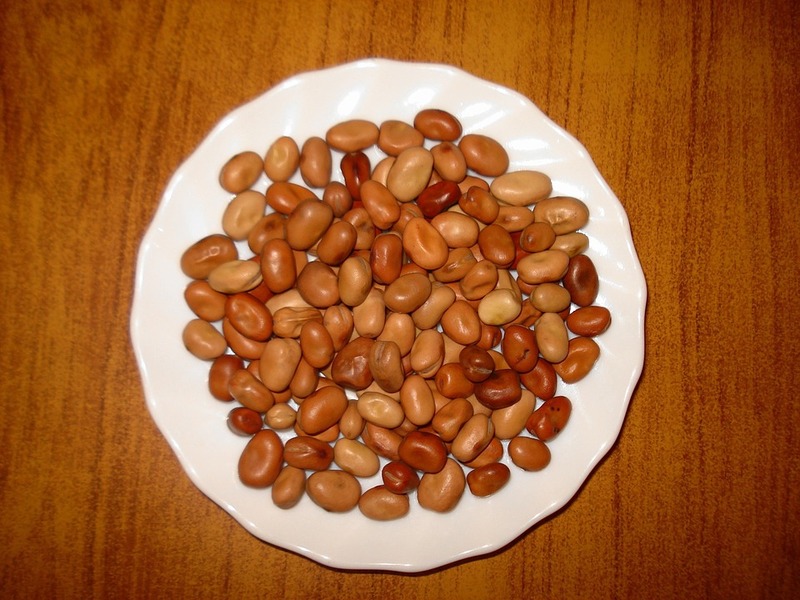 However, the Fava Bean is found on almost every menu in the region, and more often than not it will be in the form of a bean puree. Purea di Fave is an incredibly versatile ingredient – some places will serve it as a warm soup with chillies, while others create a thick foam that is paired with vegetables such as peppers. By far the most famous dish is Purea di Fave con Cicoria, which roughly translates as fave puree with chicory but is also served with local alternatives. Unsurprisingly for a region surrounded by some of the most beautiful seas in the world, a trip to Puglia would not be complete without trying some local seafood. There is a vast range of fish dishes available here, such as sea bass and anchovies. However, there’s no denying that tiella is the region’s most popular fish dish. This Italian take on the classic Spanish paella is commonly a mixture of rice, potatoes, onions and mussels. However, like many other dishes in the region, it can take on many forms. Commonly the ingredients will all be served on a plate, a mass of gloriously mixed, hearty ingredients. However, variations can include other local fish, such as octopus, while it can also be served in some places as a kind of casserole, focusing on the potato ingredient. Tiella can even be served as a pocket sandwich, in some areas! Few areas in Italy produce as many excellent ingredients as Puglia. Its agricultural heritage and enviable coasts make it the perfect place for great food. You can try out some of the local restaurant’s best offerings, or why not get the ingredients yourself and try your hand at recreating these local dishes at your luxury villa in Puglia? What are your favourite recipes from the region? Share your culinary experiences in Puglia with us on our social channels!